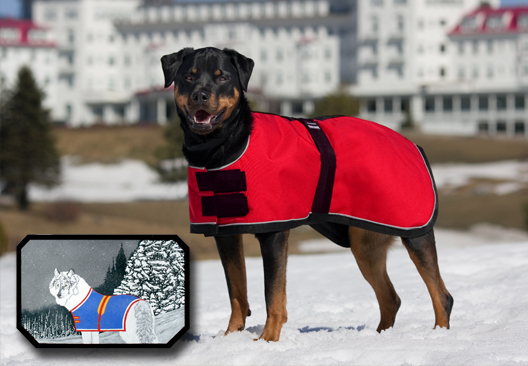 In our distinctive, original collection of fine dog clothing, we use high-tech fabric and Thinsulate thermal insulation, which offer the ultimate protection and comfort your dog deserves. Our goal is to grow with technology. We invite you to share this exceptional collection. Check out our sister companies. © 2010 Dogwarm USA. All Rights Reserved.